We are delighted to announce that once again the combined hard work of our Volunteer Garden Team members, our children and staff have resulted in School winning not one but two awards this year. The really special one for us is the "OUTSTANDING WORK BY YOUNG PEOPLE" for which we were awarded Gold and won the annual Trophy. School also won the Gold Award for the Best Kept School. 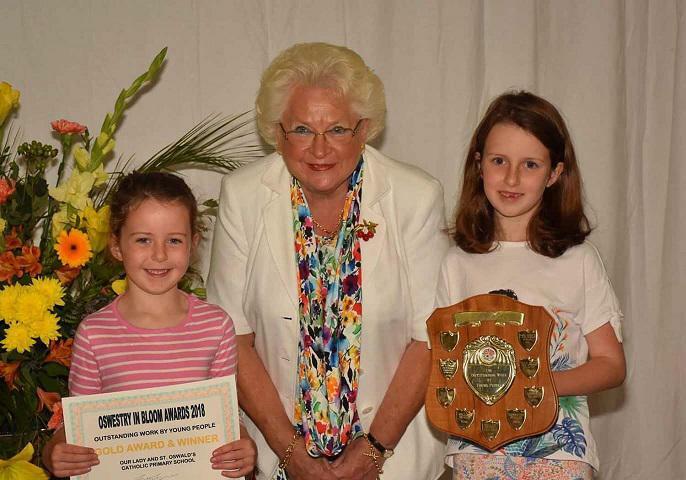 Mrs Rothera and Mrs Bentley represented the School at the recent Prize Giving and Alice and Isabella Bentley received the awards from Mrs Margaret Thrower.